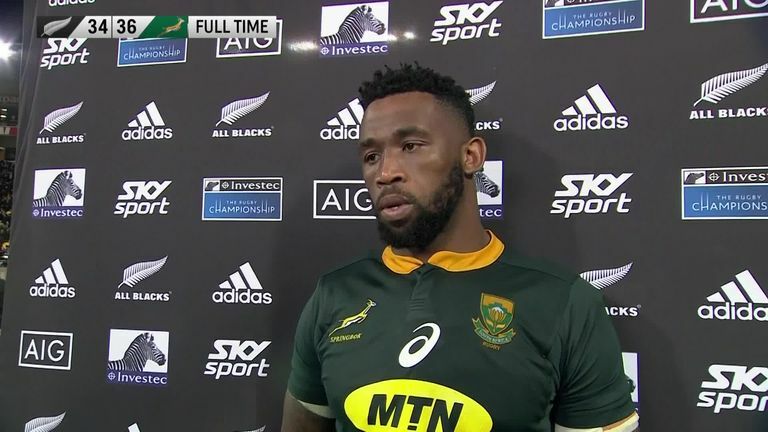 New Zealand coach Steve Hansen said there was plenty for the All Blacks to take out of the game and they would be stronger after losing to South Africa in Wellington. Although the All Blacks outscored the Springboks six tries to five, the South Africans came from 12-0 down to post an upset 36-24 victory. 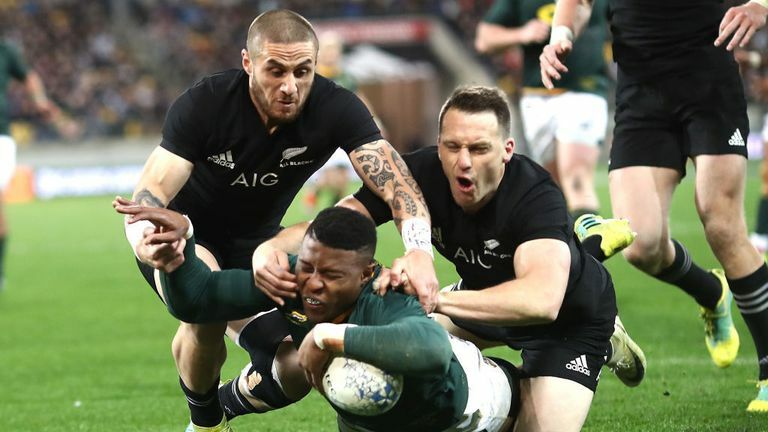 It was an off night for New Zealand kicker Beauden Barrett who missed four of six shots at goal, while referee Nigel Owens allegedly did not react when advised by an assistant referee in the dying minutes of the game that two Springboks were offside in front of the posts. However, Hansen said there was plenty for the side to take out of the game and they would be stronger for having been through the losing experience. Did referee Nigel Owens miss an offside call late on? "Looking at our own game we are obviously disappointed and there are some areas that we are going to have to go away and do some work on," he said after the game. "At the same time we are working on new structures and new things and tonight we've got a team that put us under a lot of pressure and asked questions of those structures so we'll go away and we'll learn from that and I think we'll be a better team because of it. "Whilst it's disappointing to lose it's not all doom and gloom." The All Blacks were overwhelming favourites to win after South Africa arrived in New Zealand on a poor run of form following successive losses to Argentina and Australia and having not beaten the hosts in New Zealand since 2009. "We can be as hurt as we like, it's not going to change the result. We've got to pick ourselves up off the floor and carry on," Hansen said. "They won, you give them 10 out of 10. Tonight's their night and they should enjoy that. We will be a bit more edgier than we have been for a while so it won't do us any harm. "The game's about taking your opportunities and making sure the opposition don't and we didn't do that tonight. The result is a credit to South Africa. I thought they played particularly well and we'll come out of it with a lot of things to work on." He defended Barrett's wayward kicking, deflecting criticism of an individual saying "I know Beauden's feeling it and he'll be disappointed but maybe next week he'll come out and kick 100 per cent. That's the way goalkicking is." "We could sit here and we could turn around and say, 'Yes we could have kicked a couple of goals and won the game', but that's not why we lost the game. We lost the game because we allowed South Africa to score 36 points and that's something that we can control as a team. It's a team game." However, Michael Lynagh believes that New Zealand have to sort out their kicking issues and cannot go into the 2019 World Cup without a quality goal-kicker. 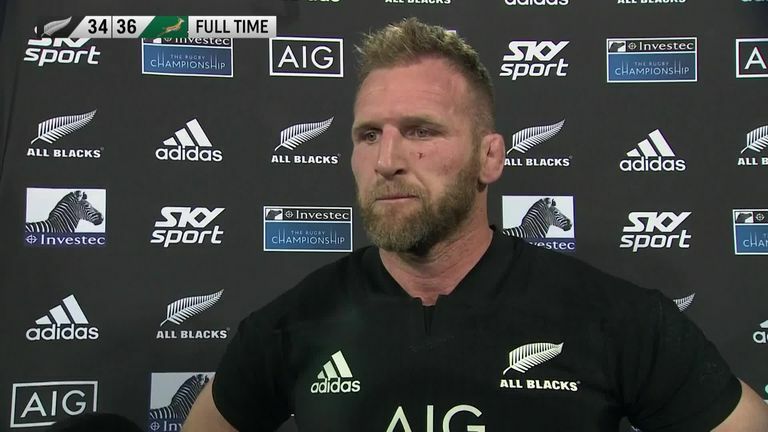 "Up to now it has not really counted for the All Blacks - they go we will score more tries than you do," Lynagh told Sky Sports. Is Richie Mo'unga the answer to the All Blacks goal-kicking woes? "They did that today, they scored more than South Africa. Beauden missed easy kicks - the two he got were probably the hardest two. This is an Achilles heel in their outfit and is something they have to fix before the World Cup - every World Cup has been won by teams who have great goal kickers. "Damian McKenzie has been so good off the bench that maybe they are reticent to start with him - if they do, then what do you do with Beauden? Maybe they bring in Richie Mo'unga in at 10 and put Beauden Barrett at full-back."